I can smell them before I see them. The stench rises as I scan the boat for the perpetrator. It turns out I should be looking towards the open water: two humpback whales glide gently through the waves just a few metres ahead of us, spouting water from their blowholes like aquatic confetti. It’s their diet, explains our guide Ed English as I wrinkle my nose, our Zodiac boat cresting the stubborn seas of the North Atlantic. We’re bobbing around just off the shores of Quirpon Island – the northernmost point of the province of Newfoundland. Here the whales come to “herd” fish into the island’s sheer rock faces before devouring them. We only came out on the water for a quick look at Quirpon Lighthouse Inn – a registered heritage building, which Ed owns and operates in addition to his bespoke, local tour guiding business. An impromptu spot of whale watching is just one of the unexpected finds my fam group of 10 uncover while exploring this remote region. Newfoundland routinely throws up surprises on our five-day visit. And it seems the island province has long been a little eccentric compared with its Canadian neighbours, happily jigging away to the beat of its own “squeeze box” (read: accordion). Here cod tongues are the local delicacy, the accent wouldn’t sound out of place in County Derry, the practice of “mummering” (effectively cross-dressing) is still very much alive, a rich Celtic music heritage bubbles away and kitchen parties are a thing. Even when it comes to the local time “Newfies” like to be different, striking out half an hour ahead of anywhere else on the continent. The region’s history has likely played a part in shaping its distinct identity: at L’Anse aux Meadows, one of the first sites in the world to be granted Unesco World Heritage Status, we learn there is evidence of the earliest-known European presence in all of the Americas. A Norse expedition ship arrived here – at the tip of Newfoundland’s Great Northern Peninsula – in 1003, long before Columbus “discovered” the New World in the late 1400s. “It took a while for America to get back to rewriting history,” one of the historic park’s guides half-jokes as we amble around the site, admiring the excavated remains of wood-framed, peat-turf buildings from the Viking settlement. Fast forward several hundred years to the 16th century and Newfoundland became the first unofficial colony of the British Empire. It was also the last territory to join Canada, renouncing its status as a dominion of the British Empire in 1949. But it’s not just history and culture that separate Newfoundland from Canada’s other territories and provinces: the landscape is also different. There are teal and terracotta clapboard houses that look like they’ve been plucked straight from Greenland’s shores and the bleakly beautiful scenery – with its open, winding road flanked by thick balsam firs as far as the eye can see – is reminiscent of a Nordic Noir. 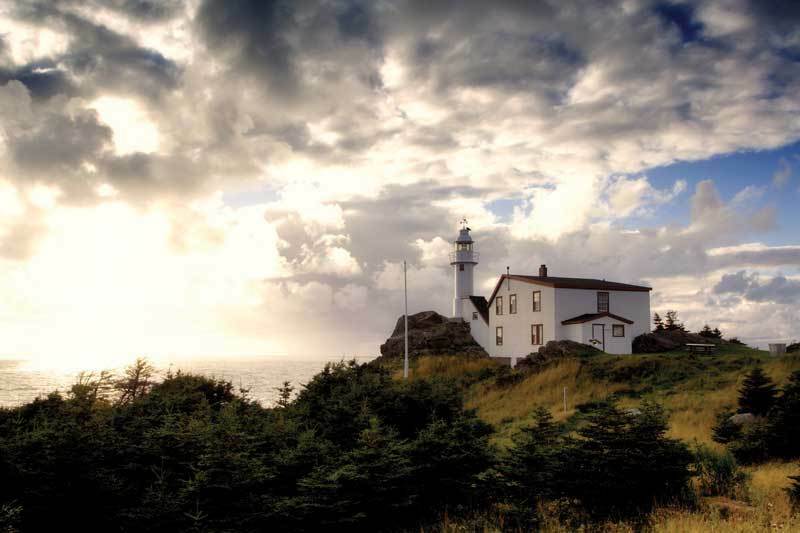 Some of the region’s most dramatic vistas lie in another of Newfoundland’s Unesco World Heritage Sites. Gros Morne is the only national park in Canada to feature villages within its perimeter. These close-knit communities of no more than 1,000 people were built before the park achieved its status in 1973. 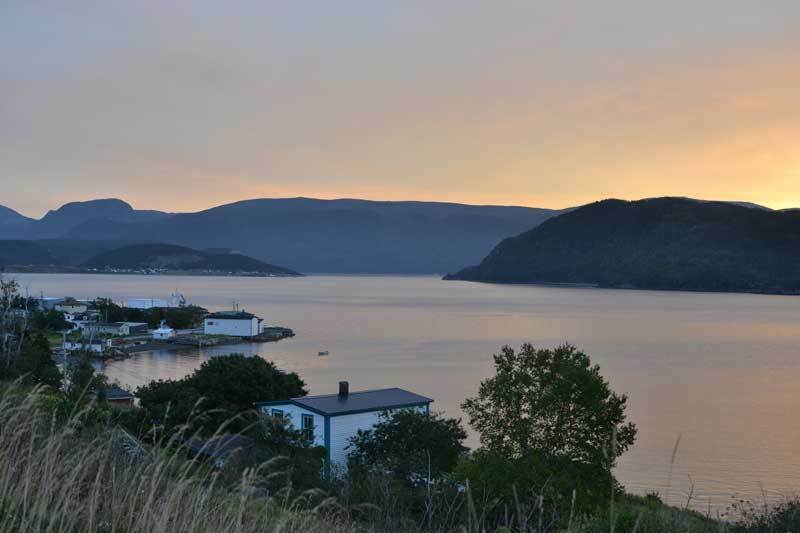 One of the quaintest spots within the park’s vast grounds is the registered heritage district and fishing village of Woody Point, where friendly couple Ken and Darlene have just opened new hotel the Bonne Bay Inn. While nondescript from the outside, the cosy, modern interiors make it the pick of the accommodation bunch in Western Newfoundland. Rooms feature handmade furniture, cotton waffle dressing gowns, powerful showers and toiletries from boutique American brand Beekman 1802. But most importantly there are uninterrupted views over the park’s Tablelands and the calm waters of the bay below. It’s a one-hour drive from the Bonne Bay Inn to the embarkation point for Bonne Bay boat tours. Cruising the two connected fjords is one of the most relaxed ways to take in the surrounding scenery. We spot bald eagles, moose and sea birds through our binoculars as we listen to guide Wayne’s amusing and sometimes sombre commentary in local “Newfoundland English” (“A tickle is an area of fast-moving water – you’re being tickled right now and you didn’t know it,” and “Drive here at night and you’re playing moose roulette – some years we have 700 moose-vehicle fatalities”). Before the cruise is over we get a taste of the musical delights we’re set to experience later that very evening, as three of the boat’s crew break into song in the cabin, accompanied by accordions and guitars as they sing sea shanties before the all-important “Newfoundland Screech In”. To become honorary Newfoundlanders we’re made to take part in the local ritual, which involves kissing a codfish, necking some screech (rum) and performing a jig before an audience. That night we enjoy an extended performance at the Anchors Aweigh show in Rocky Harbour. The evening is part stand-up comedy routine and part catchy musical ditties that occasionally require audience participation. It’s been a local institution for 19 years, and half the BonTours crew make up the band, performing to a largely Canadian audience. Tracing the coastline further north, we’re back on water the next day, this time to Western Brook Pond, with its glacier-carved landscape of waterfalls and ancient rock formations. Merely getting into the freshwater fjord proves a feat. Gale-force winds pummel my cheeks, pulling at the corners of my mouth as freezing water shoots over the bow of the boat, launching straight onto the top deck. Faces are hemmed in by anorak hoods as the vessel bucks like a bronco and unsuspecting voyagers squeal with delight. But once we’re into the more tranquil waters of the valley calmness descends as we admire with crooked necks the towering 2,000-foot cliffs, carpeted in greenery. Fishing and forestry have been the lifeblood here for centuries, explains the ship’s captain. The wood was used for cooking, making tools and building houses, while fish offered food. But just as the island provides, its punishing winters also deprive. And Ed English’s stories of survival and stoicism amid rugged terrain and brutal weather prove essential road trip material. Some are light-hearted and have surprisingly happy endings, such as the tales of babes in prams rescued from frozen ponds, the story of his grandfather who ran the SS Ethie aground during a raging storm, and how he taught his young daughter the dicey local springtime sport of “copying” (running between ice pans). Others have more morbid endings, such as the U-boat that torpedoed his uncle’s warship just off the coast and the local guide who went astray in the woods, losing both his sanity and numerous body parts in the process. Storytelling seems to be in the blood of most islanders we meet. At the Grenfell Heritage Hotel in St Anthony, the staff tell us tales that spell out why Newfoundland is known as iceberg alley. “We’ve seen glaciers right here from town that were eight miles long!” drawls one employee. “They had seals on them, and waterfalls,” she adds, widening her eyes. And we meet a lot of islanders. 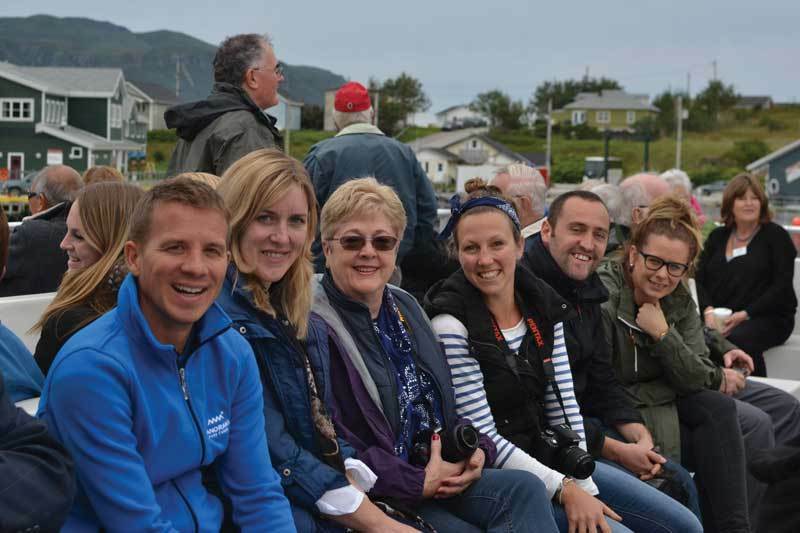 Canada is well-known as an exceptionally hospitable country, but Newfoundland outstrips all other provinces for the title of friendliest, even according to other Canadians we meet who are touring the region from Toronto, British Colombia and beyond. We find traffic jams materialise in the most unlikely remote locations, as cars patiently line up one-by-one to anticipate us crossing the road from afar. Excited locals befriend us in their family-run cafes and insist on giving us spontaneous tours of local attractions; karaoke nights are laid on especially in our group’s honour; and we’re even invited into a local’s house for an impromptu kitchen party. Like a modern-day provincial chieftain Ed seems to know every resident in all of Western Newfoundland. He comes from a long line of Newfoundlanders, and having him in your midst is not only handy for getting to know the locals: he can seemingly distinguish between each and every species of tree, analyse the behaviour of whales and elaborate on how an Inuit would butcher a moose with a micro blade, just in case you were wondering. Newfoundland is not the right corner of Canada for clients who want luxury hotels, haute cuisine and a Starbucks on every corner. But for those who want a taste of wild Canada – the one that’s filled with myths and legends, colourful characters and vast, rugged landscapes – this is it. And it turns out Newfoundland is quite the find. Air Canada offers London Heathrow-St John’s from £501, London-Halifax from £499 and London-Deer Lake from £555. Book tours of Newfoundland direct with Ed English via email (info@linkumtours.com) or through his website. For more information, see the official tourist board site.